WHAT'S THE NEXT STEP AFTER LEARN TO SKATE? The Mini-Mite Program is for beginner hockey players between the ages of 5 and 7 (Birth years 2012, 2013 & 2014) and is the most common option. They practice once a week (Friday) and will typically play one cross-ice game every Sunday morning. All practices and games are played at the Olympia Ice Arena. The cost of this program is approx $525. ( There is an evaluation skate in March ) to determine how many teams of 6-8 players we will field. 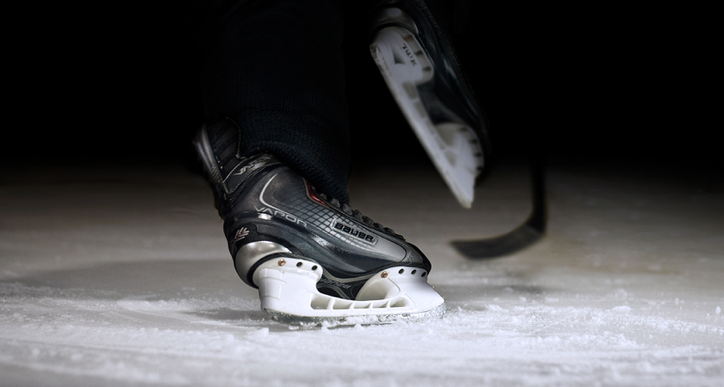 Mite Hockey is for slightly more advanced skaters between the ages 6 and 8 (birth years 2010, 2011 & 2012). They will have two team practices per week and another practice every other week with all Mite-aged players and will play one or two “half ice” games per weekend. Our League, the Greater Springfield League (GSL), has teams in Westfield, Amherst, Holyoke, Ludlow, Springfield, Brattleboro (VT) and Franklin County so a few games will be played away from the Olympia Ice Arena. The cost of this program is approximately $1,225. One or two Tournaments could also be added to the schedule and these will incur additional travel expenses. Occasionally, some games could be played on full ice. Your child should register and attend the Evaluations (see below) in late March to ensure appropriate team (“A”, “B”, “C”) placement. Evaluations will take place in March at the Olympia, the organization will send out notifications as the date the register for evaluations approaches. On-line Registration is posted on our website: holynamehockey.org. You should register your child prior to the first day of Evals. On first day of evaluations, you should arrive well before your 5:00p ice time to check in and receive a numbered Evaluation Jersey. Please wear this jersey during all three sessions. Monday/Wednesday sessions will be skills testing. Here the players will be measured while shooting, passing, skating, and puck handling. On Thursday, the Mites will scrimmage cross ice using small nets. The Evaluation Committee will then combine these two assessments to form teams of similar ability. Coaches are selected and the teams are posted on-line (using the Evaluation Jersey #, so don’t forget) about two weeks after Evaluations conclude. Squirt Hockey (2008 & 2009) will have you well on your way towards a life-long love of hockey. Here your child will play games on a full sheet of ice (but continue to share the ice with another team during practices). Squirts practice 2 or 3 times per week and will play games most weekends. Our league, the Greater Springfield League (GSL), has teams in Westfield, Amherst, Holyoke, Ludlow, Springfield, Brattleboro (VT) and Franklin County so a few games will be played away from the Olympia Ice Arena. PeeWee Hockey (2005 & 2006) will follow a similar schedule as Squirts. However, PW’s will practice 3 times per week (half sheets) and will look to have weekly off-ice training/teaching sessions as well. Approximate ice fees: $1,610. We, at Holy Name, are always looking for new coaches and volunteers to help us in our goal of making our players better by concentrating specifically on their individual skills like skating, puck control, shooting, dekes and one-on-ones.